This giant and cute elephant is very funny. All the animals like him but at night they can’t stand him. 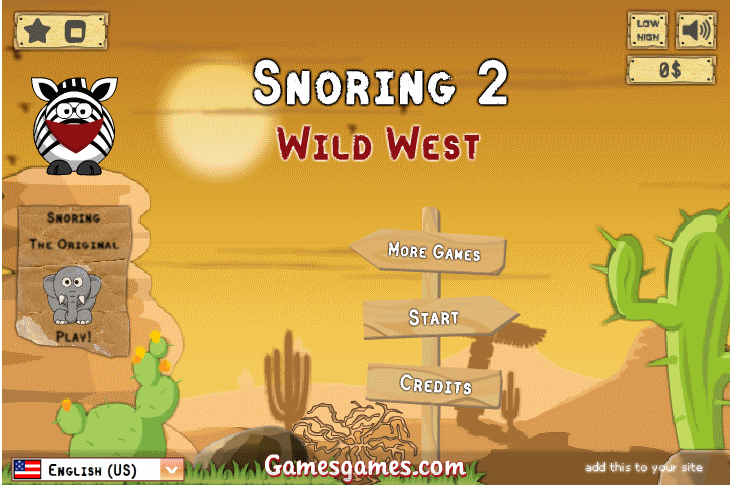 He is snoring so loud, that no one can fall asleep. 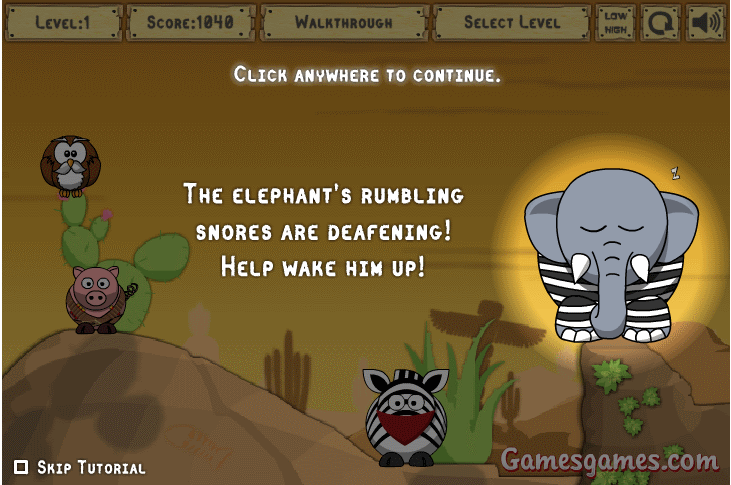 How to play: wake the sleeping elephant up in game using other animals. 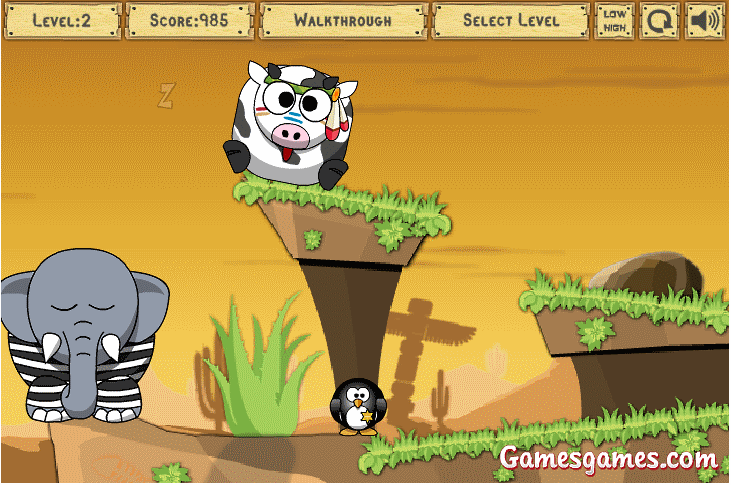 In this wake the elephant game owls, pigs, cows, zebras and even penguins will help you with this. Click with the mouse to make them move. 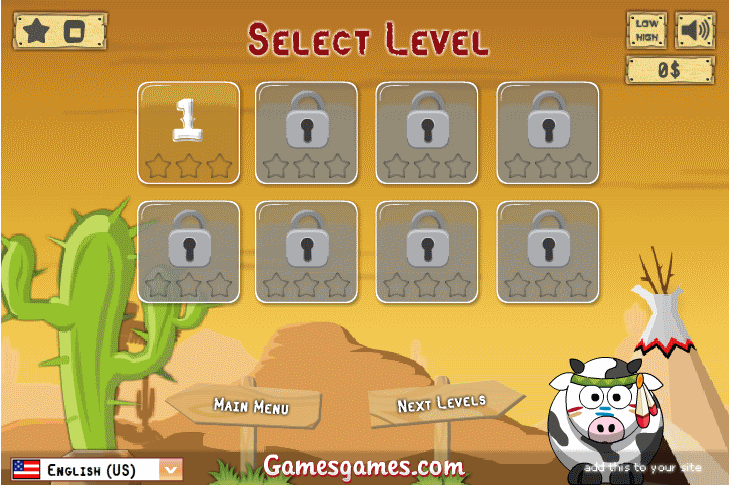 Pigs can roll if you push them, zebras jump and fall like domino, cows roll. Remember what any animal can do and make a strategy how to wake an elephant up. Try to wake up big elephant.